The first field battle of the war in Belgium took place northwest of Liege, on August 12, when a force of 5000 German cavalry, supported by artillery and infantry, attacked the twin villages of Haelen and Diest, with the intent to seize the bridges across the River Gethe. Here the Huns met with their first serious repulse. From behind improvised barricades, the Belgians decimated the German lines with a terribly effective machine-gun fire, driving them back in confusion. Two thousand Germans fell in this engagement, while hundreds of others threw down their arms and surrendered. Again and again the Belgian soldiers proved their superiority over the Germans when they met on even terms. Thus a flanking movement against the Belgian left wing at Cortenachen was easily repulsed. On August 15, after a sharp bombardment, a force of 2000 German cavalry galloped into Tirlemont, but were quickly driven out. A German cavalry detail which had bivouacked in Eghezee, was likewise expelled. But after the fall of the western forts at Liege, and when the overwhelming strength of the German armies was at length disclosed, the Belgian army prudently withdrew from its position on the River Gethe, falling back on Aerschot. Meanwhile, the advancing Huns had applied the torch to Pellenberg, Bautersem, Corback-Loo, and Lovenojul. Diest, St. Trond, and Waremme were occupied by the Huns without resistance. The Battle of Haelen was a cavalry battle on the Western Front at the start World War I. It took place on August 12, 1914 between German forces led by Georg von der Marwitz and the Belgians army led by Leon De Witte and resulted in a tactical victory for the Belgians. Haelen (Dutch: Halen) was a small market town along the principal axis of advance of the German imperial army and provided a good crossing point over the river Gete. A week after the invasion of Belgium by the Germans, the Belgian army chose the location to deal a stopping blow to the advancing enemy in an attempt to buy time to complete an orderly retreat towards the West. The Belgian military high command was convinced the Germans would advance towards Hasselt and Diest. To block the German advance the single cavalry division of the Belgian army, commanded by Lieutenant-General Leon de Witte, was sent to guard the bridge at Haelen over the river Gete. During an evening meeting, the Belgian general staff convinced de Witte to fight a dismounted action in an attempt to negate the German's numerical advantage and superior use of machine guns. Out of communication intercepts, the Belgian HQ discovered that the Germans were heading in force towards de Witte's position and sent the 4th infantry brigade during the early hours of that morning to reinforce the cavalry division. The fighting erupted around 8 o'clock in the morning when a German scouting party advancing from Herk-de-Stad came under fire from the Belgians. About 200 Belgian troopers attempted to set up a fortified position in the old brewery at Haelen, but were driven out of the building when the Germans brought up their field artillery. By this time the Belgian engineers had blown the bridge over the Gete, but the structure only partly collapsed and left the Germans an opportunity to send a force of some 1,000 troops into the centre of Haelen. 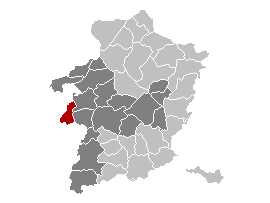 The Belgians' central defense line was positioned west of Haelen in a landscape which gave the attacker only an obstructed view. The relatively easy capture of Haelen had made the Germans confident of an easy victory and led to numerous ill-conceived attempts to capture the Belgian position with sabre and lance. Towards the end of the day the Germans were forced to retire towards their main columns east of Haelen. 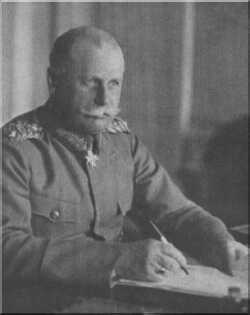 De Witte repulsed the German cavalry attacks by ordering his men (which included a company of cyclists and another of pioneers) to dismount and meet the attack with massed rifle fire, which succeeded in inflicting significant casualties upon the Germans. The battle demonstrated the advent of the irrelevance of mounted cavalry charges on the battlefield. Although hailed as a great Belgian victory, the loss of the battle had little consequence to the Germans who conquered Belgium over the next two months. The Germans suffered 150 dead, 600 wounded and some 200-300 prisoners with a loss of approximately 400 horses. The Belgians counted 160 dead and some 320 wounded. 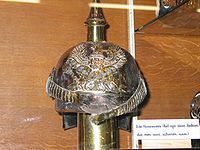 The battle has been nicknamed the Battle of the Silver Helmets for the many silvered helmets left behind by the German cuirassiers on the battlefield.